My Eid Mubarak storybook is the first project of author Omer Naqi. Within this book he wanted to portray the fun and rich traditions of Eid. To do this, 9 stories are within the book, sharing some of the traditions that children look forward to. 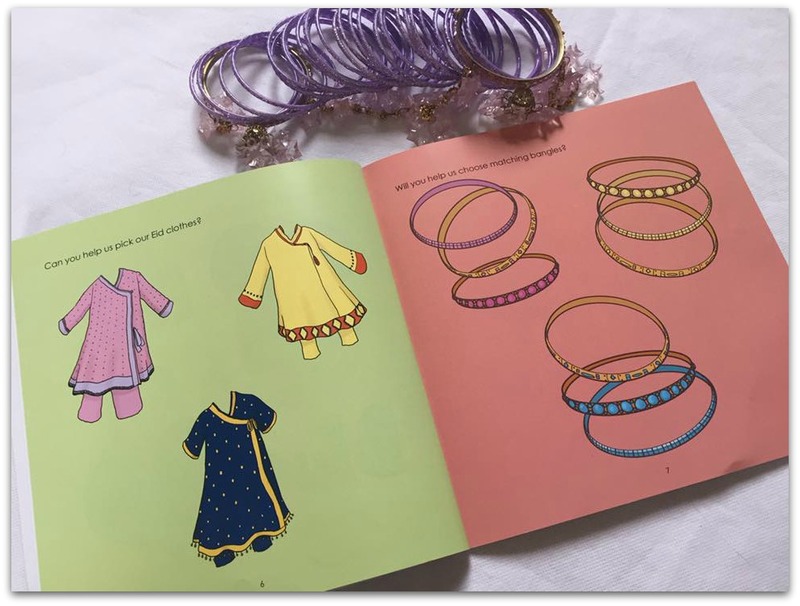 Emaan and Inaaya are excited about new clothes and through the illustrations you can help them pick clothes based on their favourite colour. Ibrahim receives money on Eid (Eidi) and we learn how he splits his money into three parts; spent some, gave some to charity and saved some. 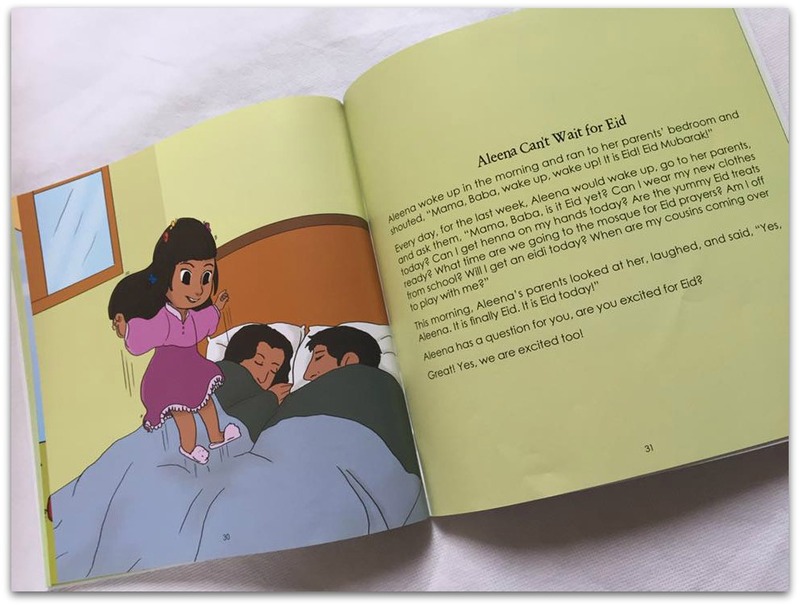 The author himself is of Pakistani origin and I do feel this is reflected in the stories and illustrations…for example the girls choice of shalwar kameez as their Eid outfits and then the food they like being kababs and kheer. However the traditions of Eidi, going to the mosque, wearing new clothes etc are reflective of all cultures. Each story is brief and is not a detailed description of the traditions; the stories are 2 – 5 pages long. 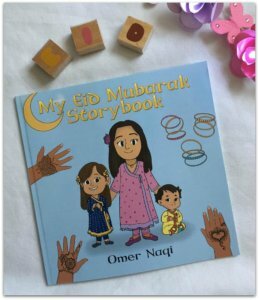 However that is the uniqueness of the book as it is providing snapshots of different Eid traditions, and at the same time providing some insight about Eid to those who want to learn about what happens at Eid, or simply stories that children who celebrate Eid can relate to. 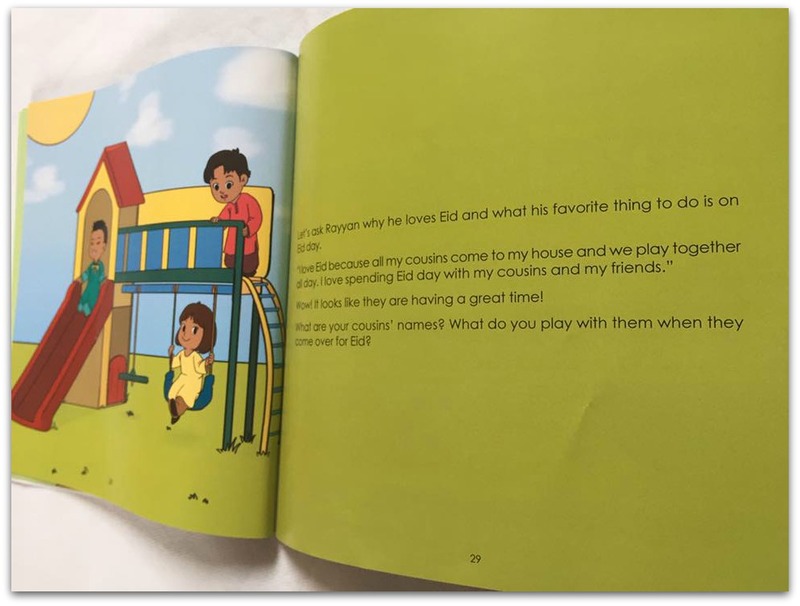 I personally quite like that My Eid Mubarak Storybook tries to get the children reading it involved by asking some questions. For example ‘What will you do with your Eidi this year?’ It can become a discussion with the parent and child if the child is being read to. Not just short stories, there are some educational aspects to it. For example, readers are told what Eid Mubarak means, reminding the reader that we should always say Bismillah before eating, explaining what Eidi is and the importance of spotting the moon which signifies it is Eid. The book itself is colourful throughout with plenty of illustrations; Bee always loves looking at pictures and talking about them so she loved the pictures in this one. A fun book to add to our collection of Ramadan and Eid books. The book is available for delivery worldwide through amazon, barnesandnoble and xlibris. This is such a cute book! I love seeing islam based books for kids because it gives them a sense of ownership and pride in having a book about their special day…wait maybe that’s what it does for us. Either way its brilliant! 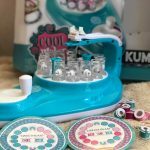 I need to get this for the kiddos in our family! Bought back all the excitement of Eid and the Eid as a kid! This is a beautiful way to create knowledge about Eid and the tradiions! 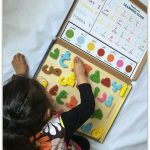 I’d love to buy this eid book for my boy – his first Eid inshallah! He looks like the smug baby on the cover. Perfect IMHO! Lovely illustrations too! 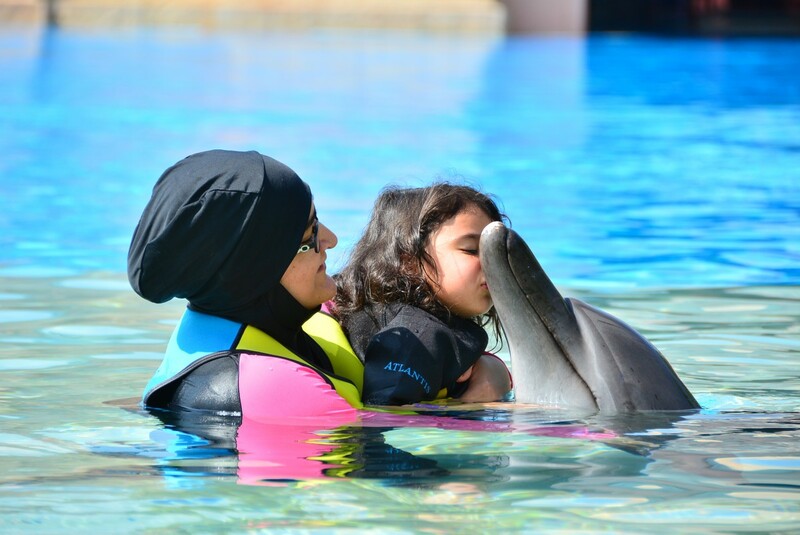 It’s always interesting to find out the norms in different cultures… Their traditions in celebratting eid, shows a little diversity in the practise of Islam. It’s strange that with all these, our religionstill gets generalised a lot. Lovely book for kids and in fact maybe for reverts like me, too. This seems like a great book for my girls! This will be our 4th Ramadan as a family of 4 now alhumdulillah. I love that the author managed to incorporate meanings of phrases along with the traditions! It would be awesome if he also did an Eid around the world kind of book! I’d love to buy this eid book for my sister.I also like to read this book. Thanks For Sharing.